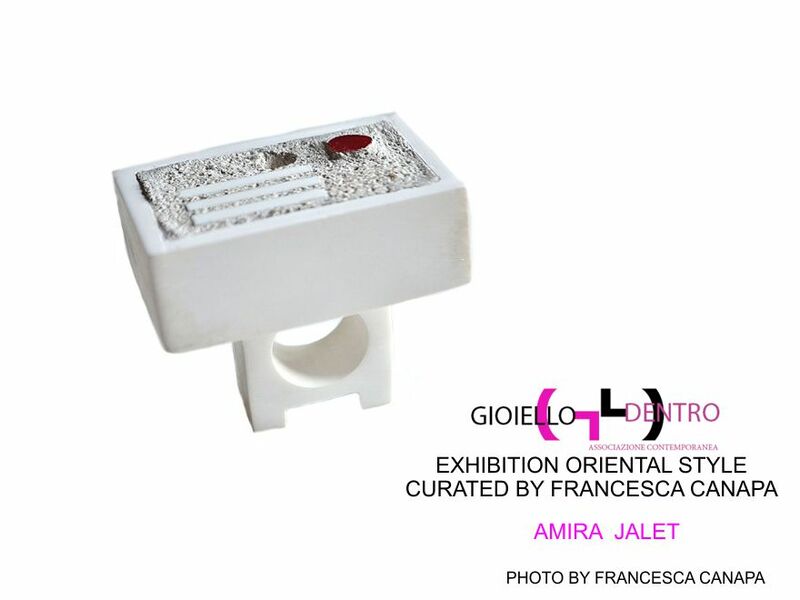 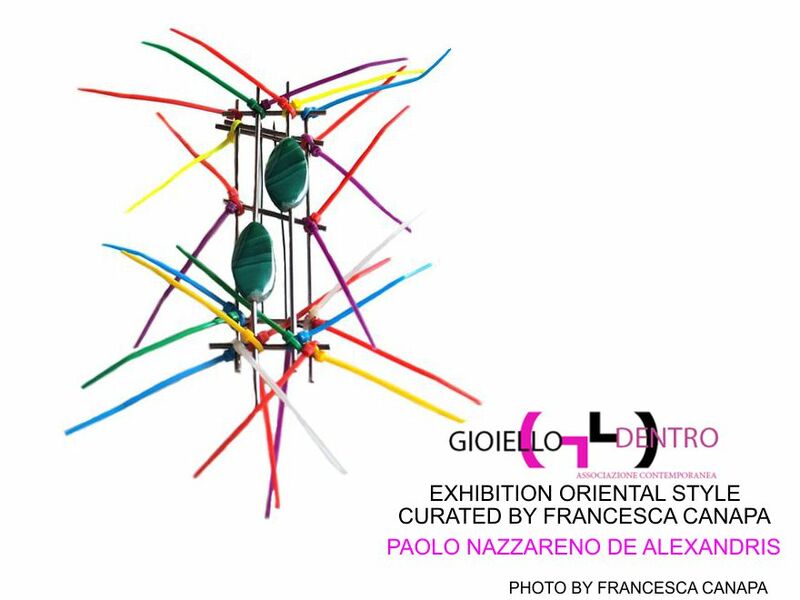 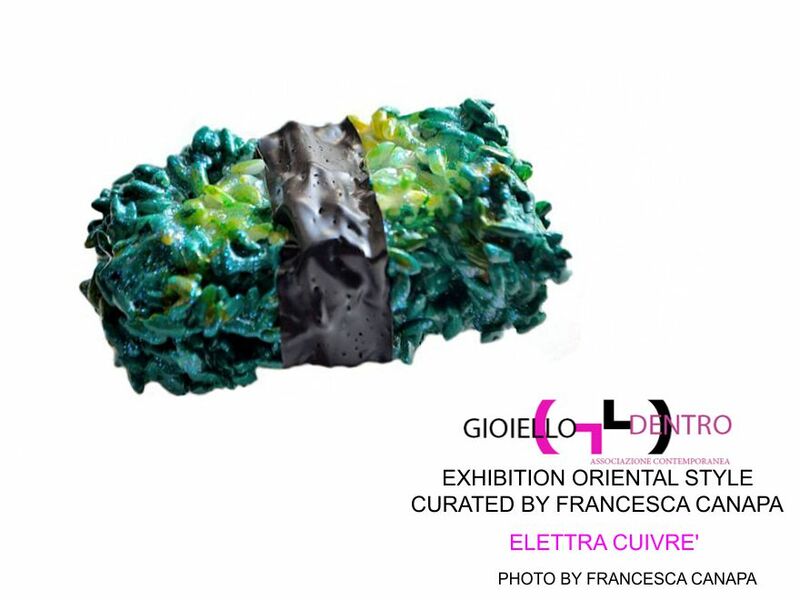 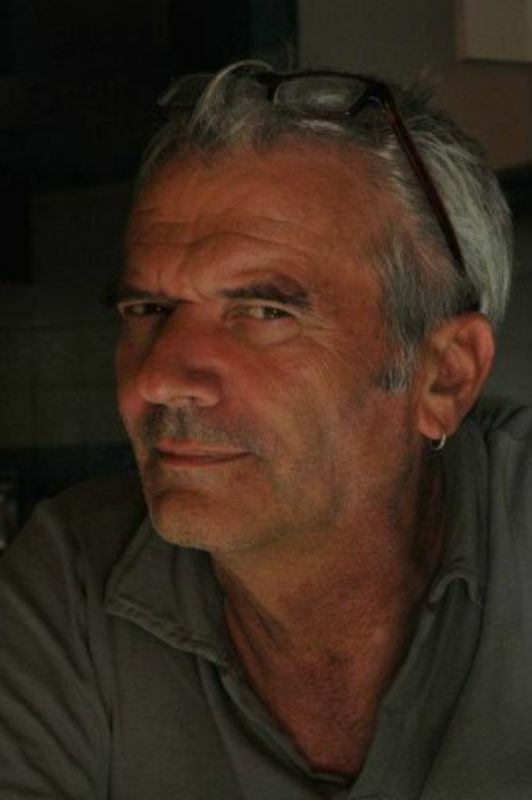 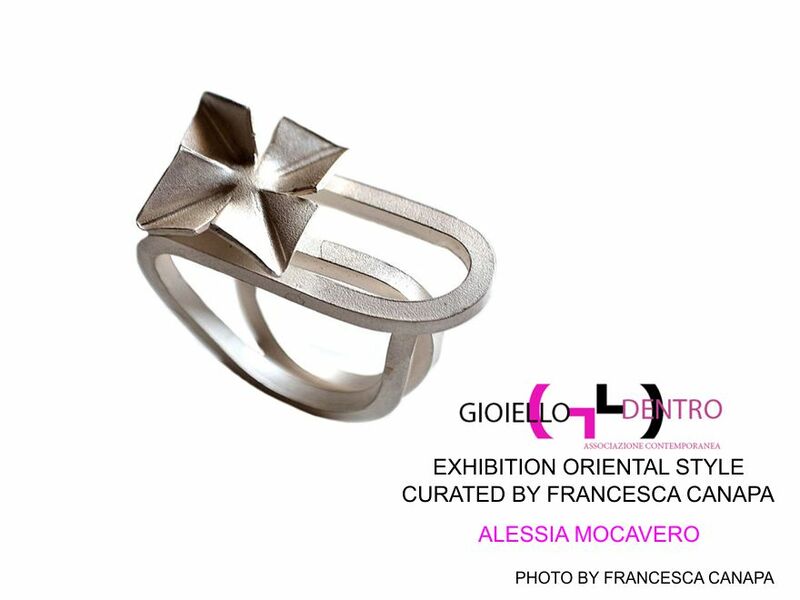 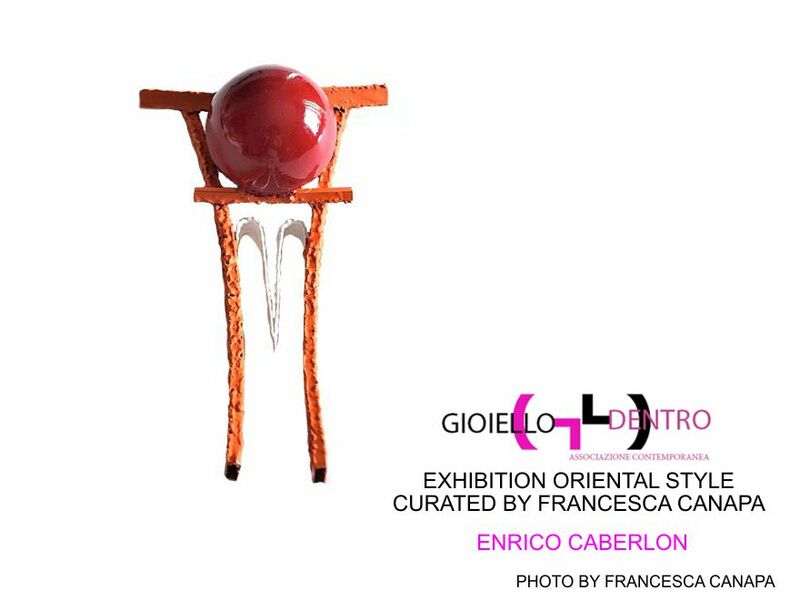 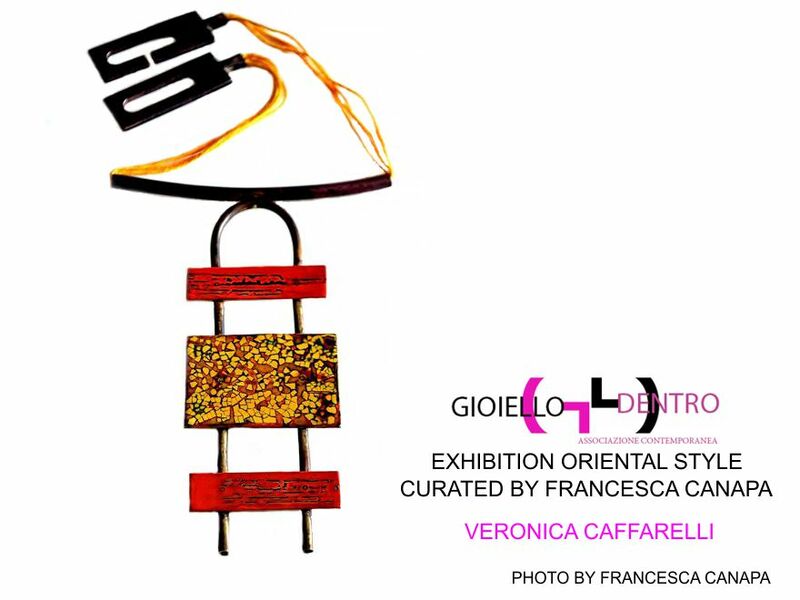 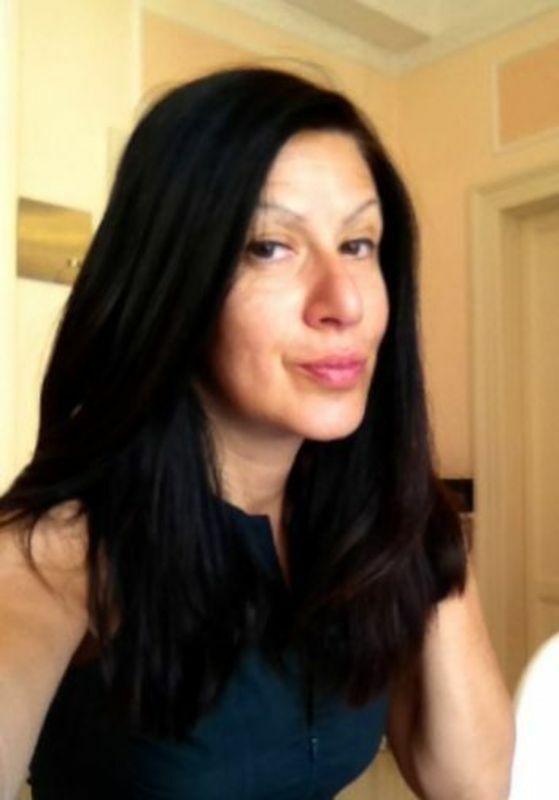 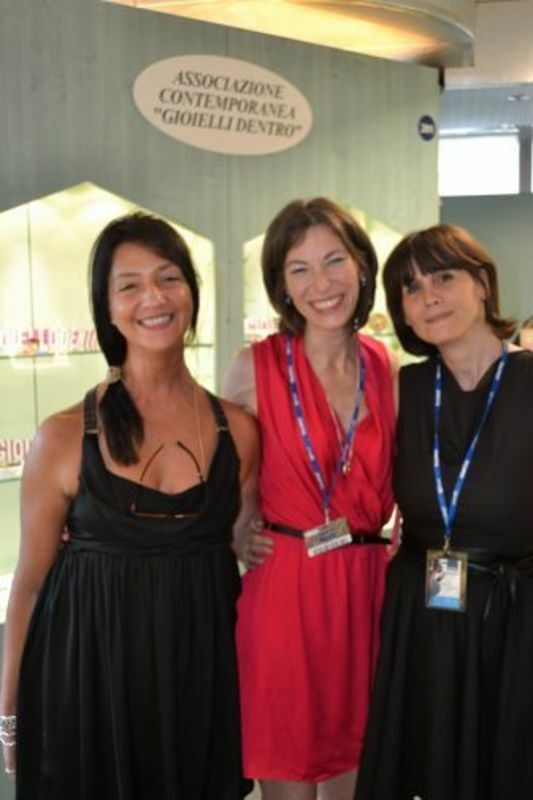 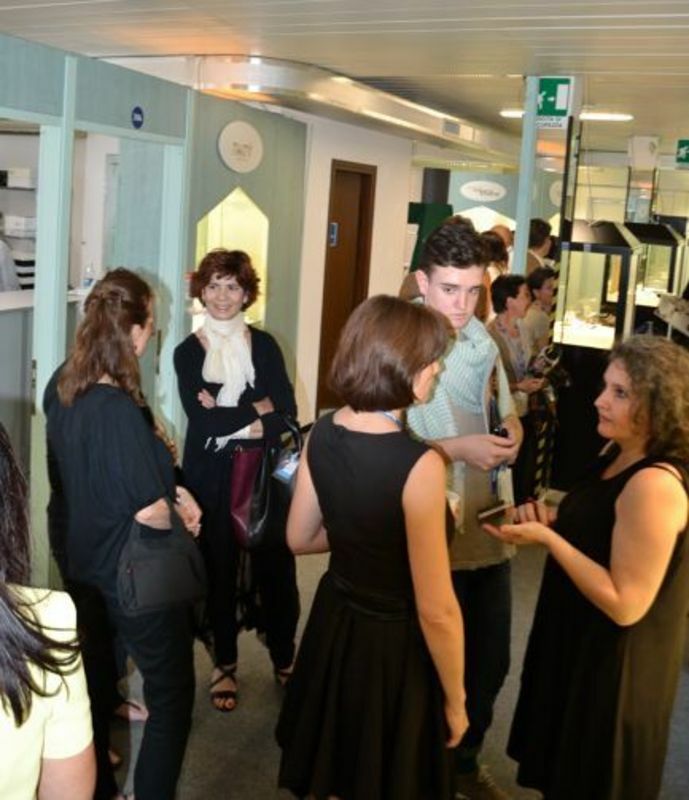 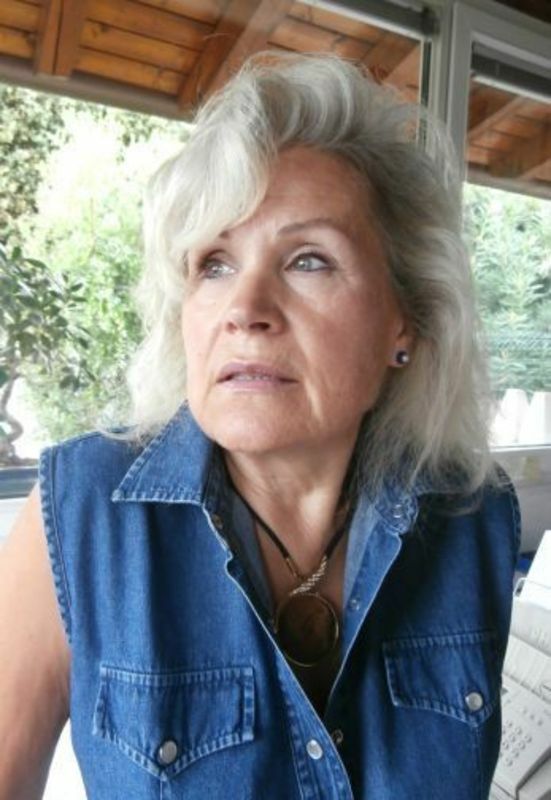 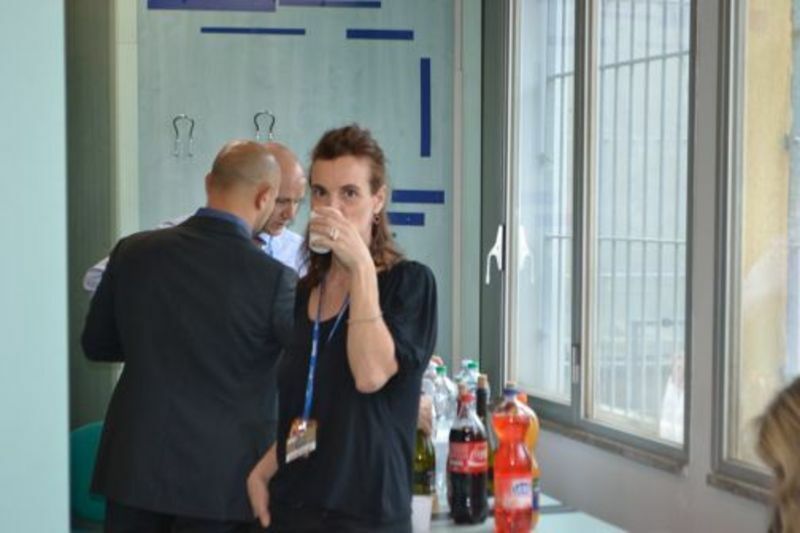 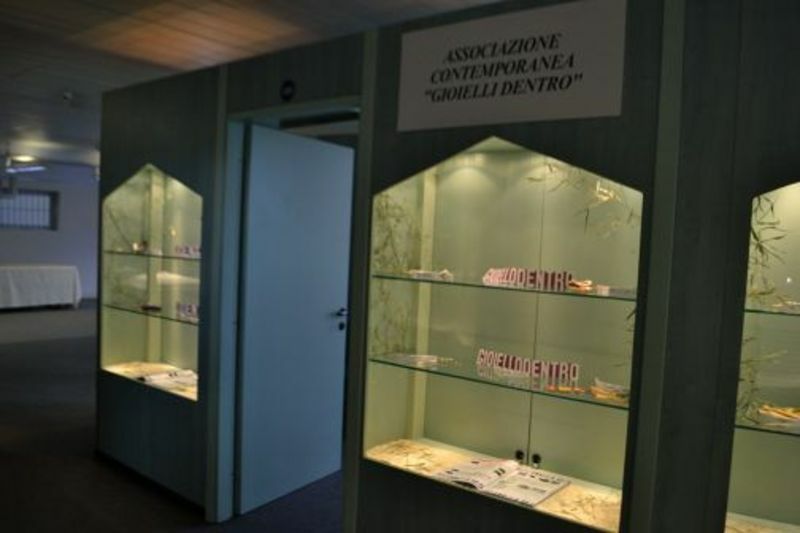 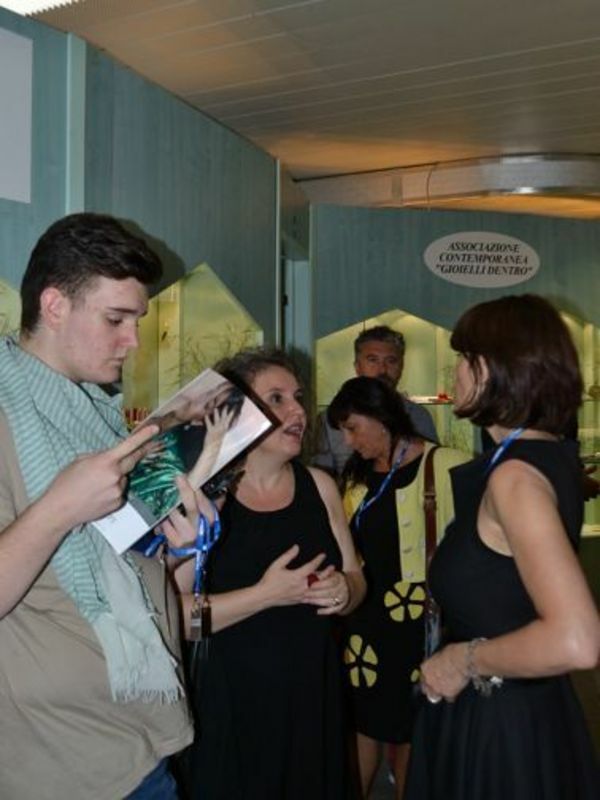 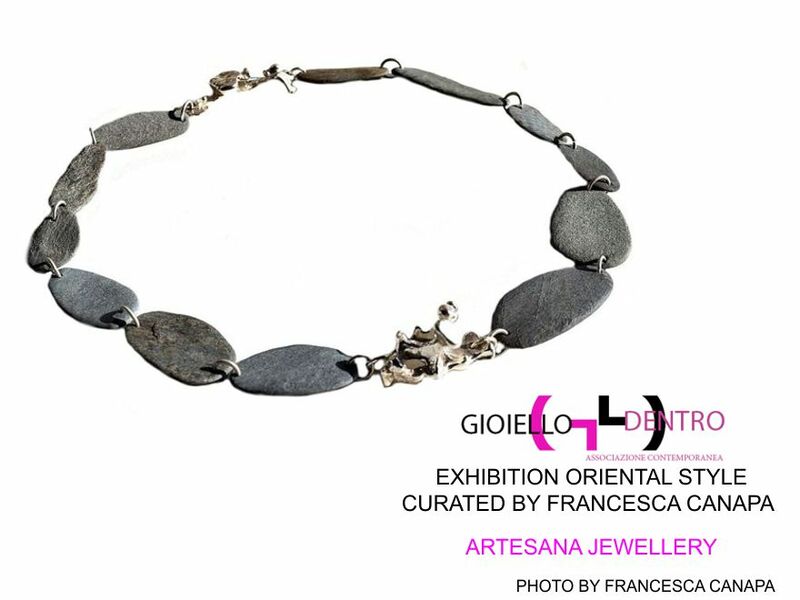 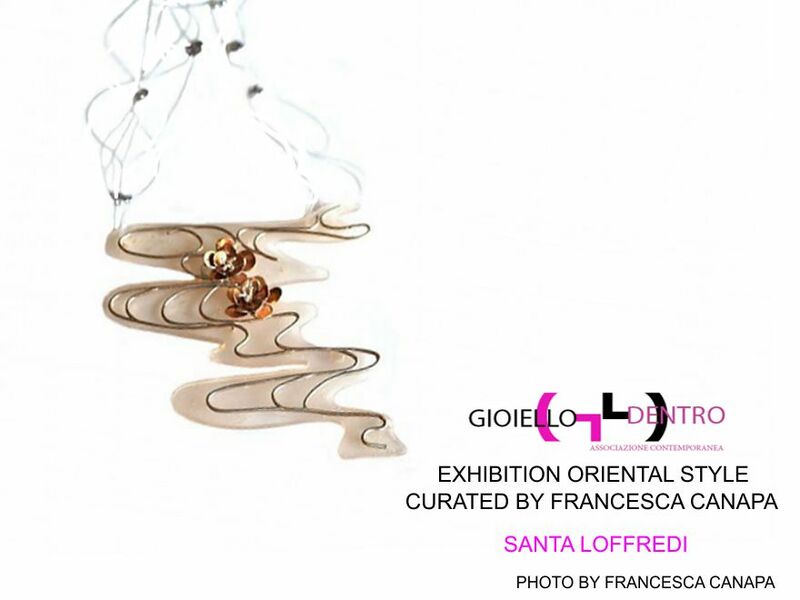 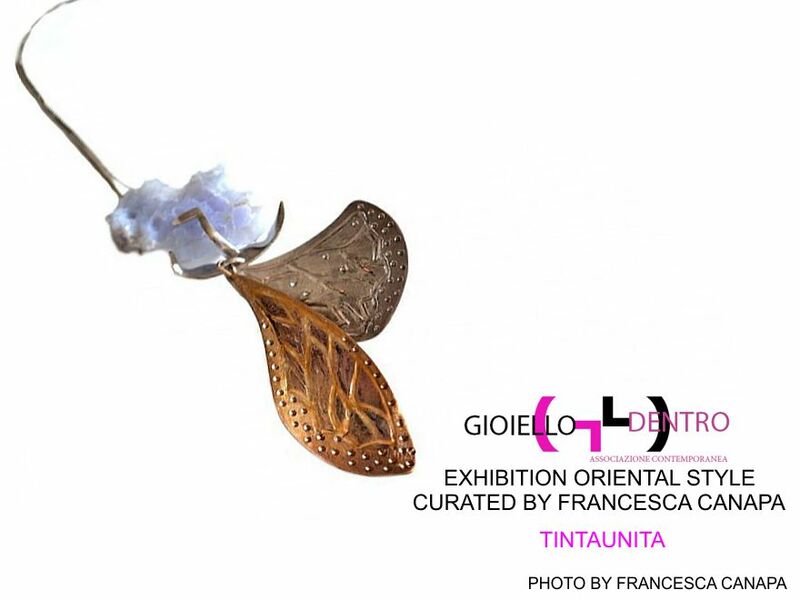 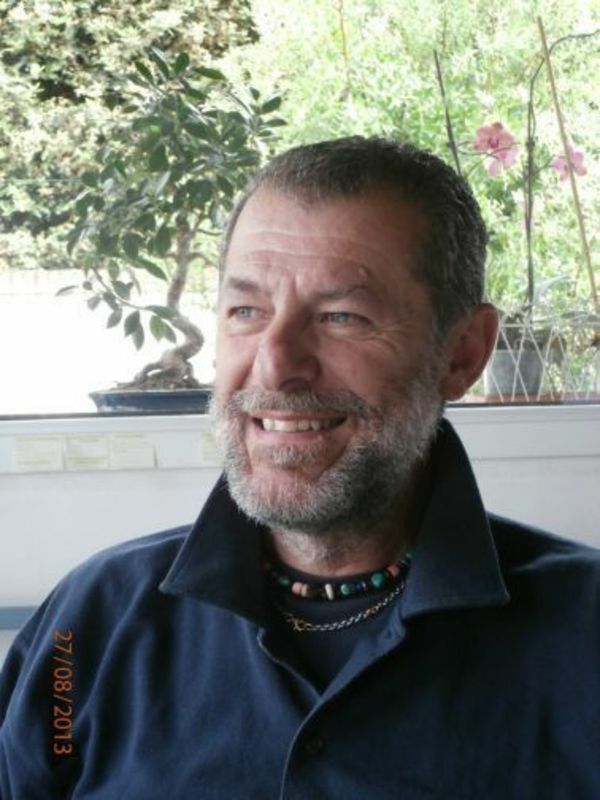 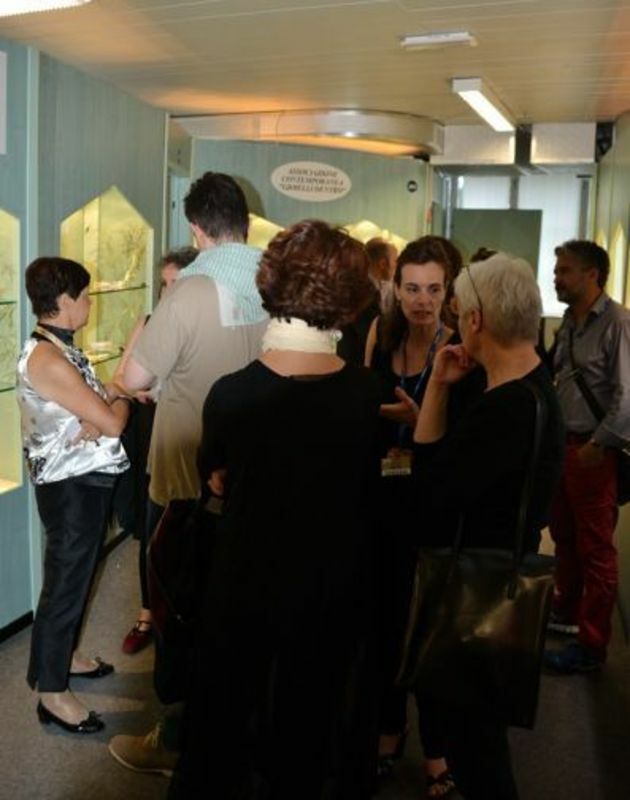 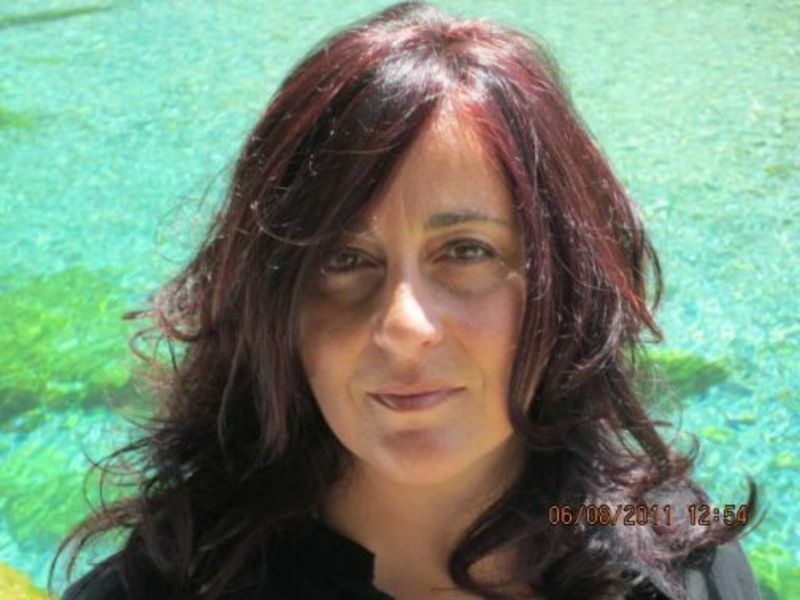 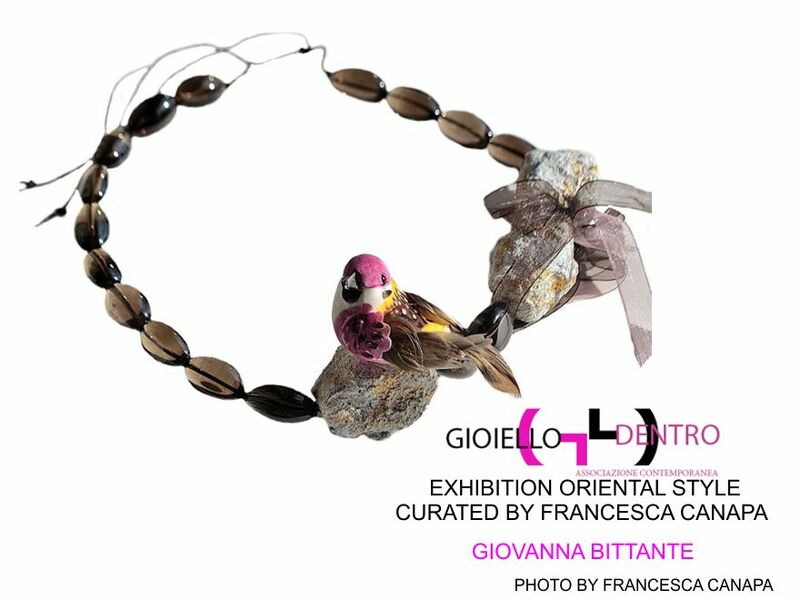 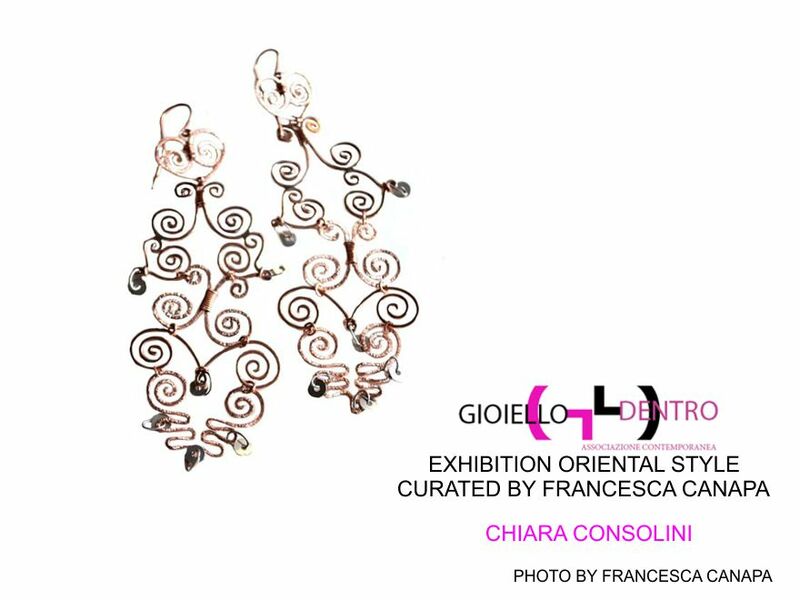 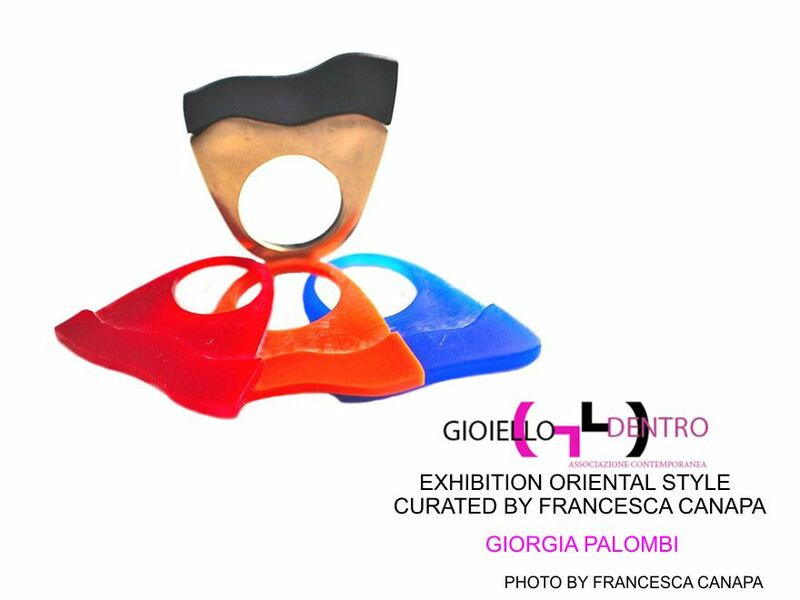 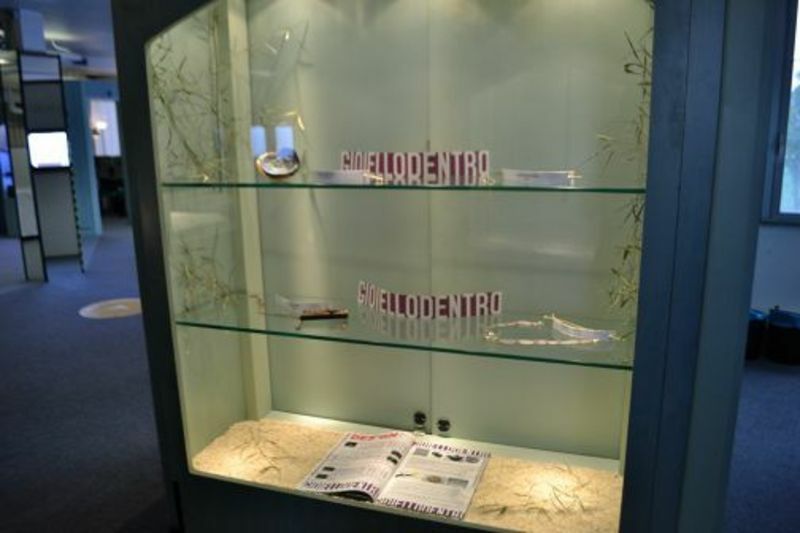 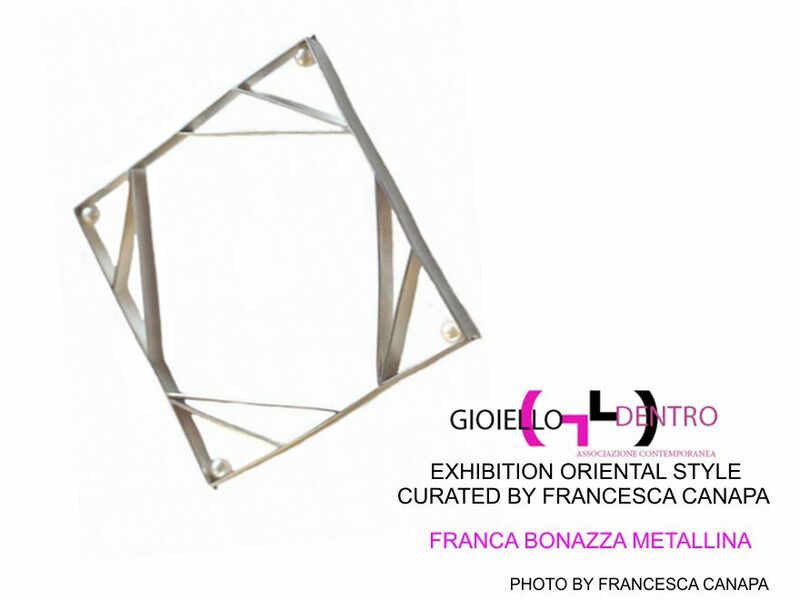 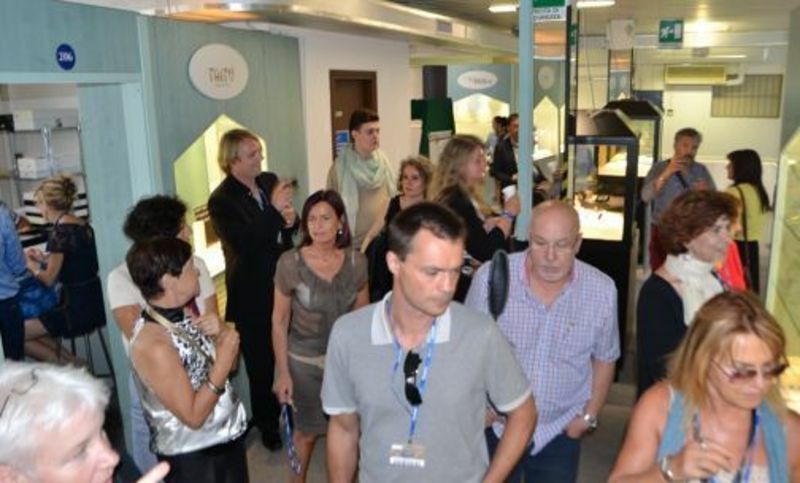 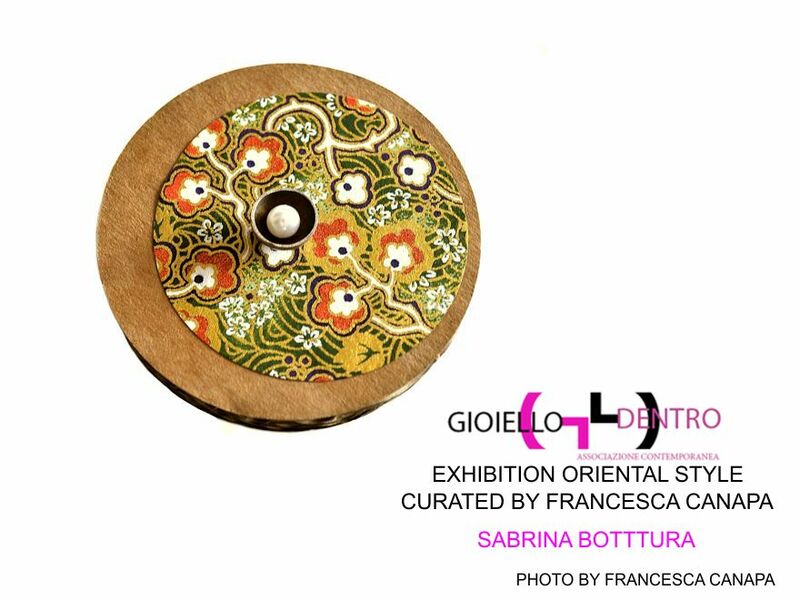 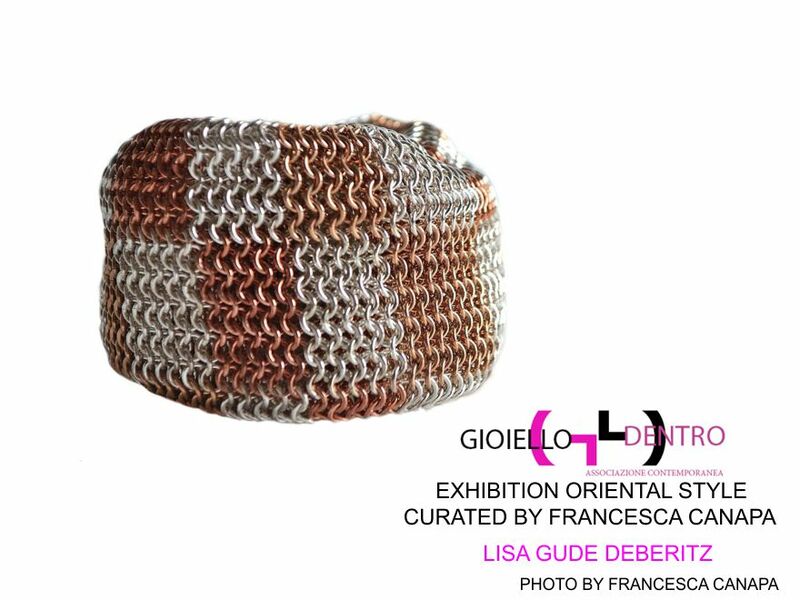 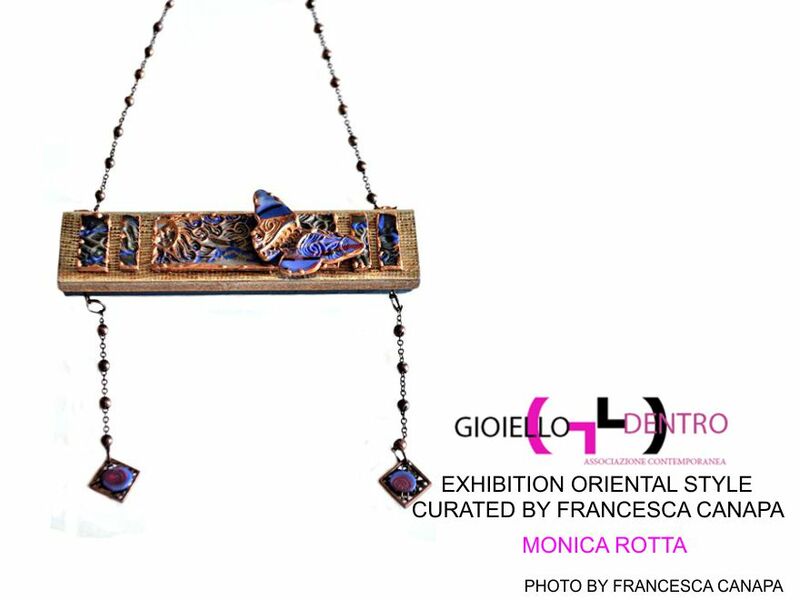 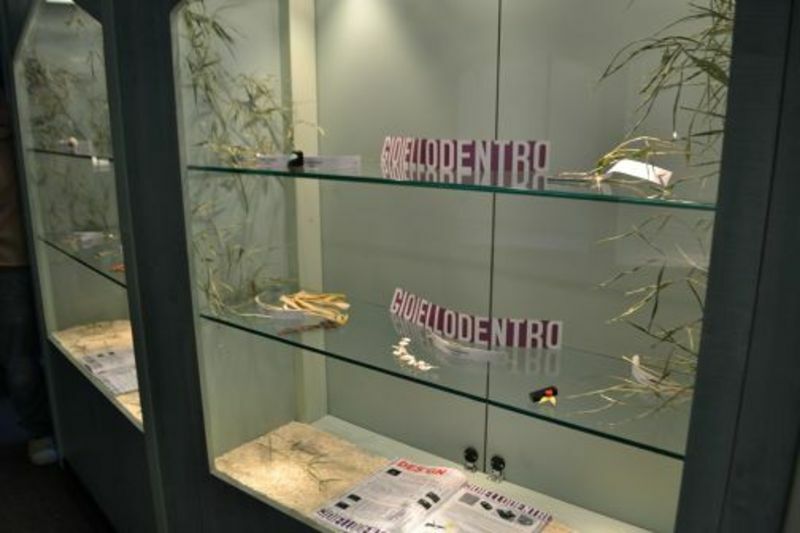 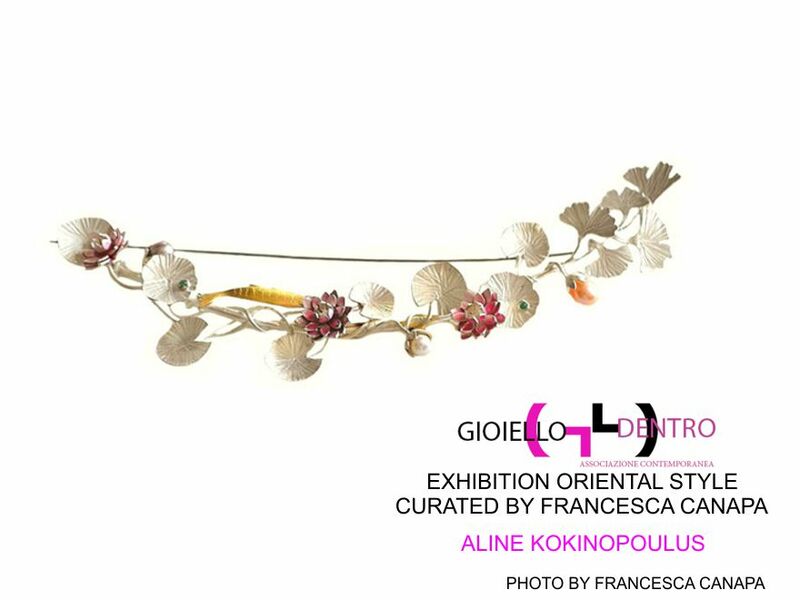 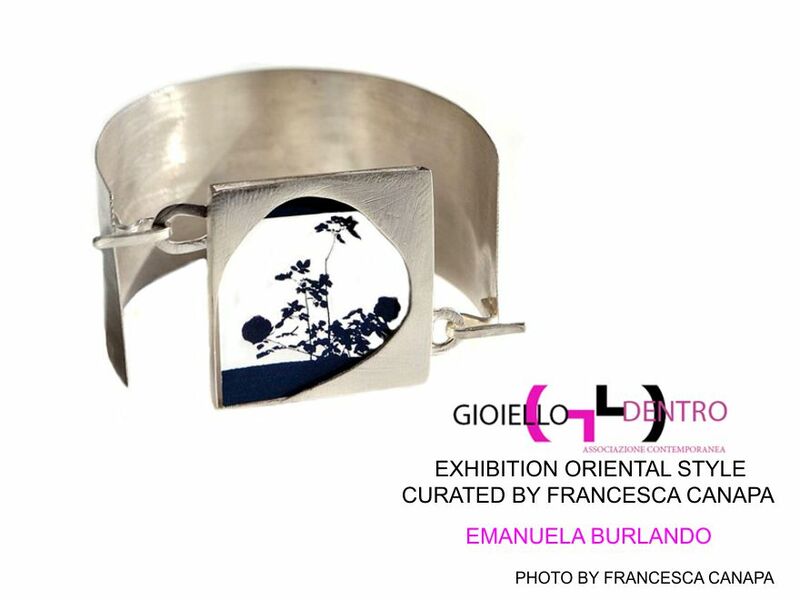 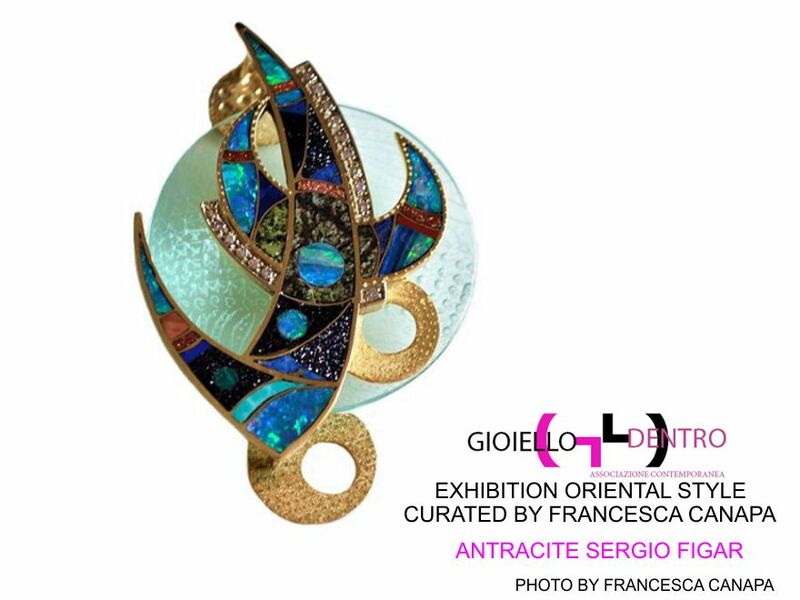 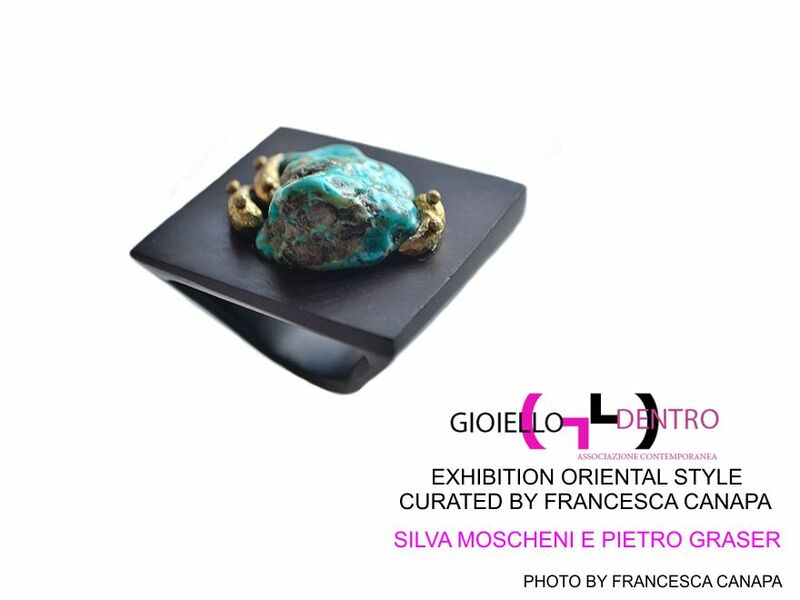 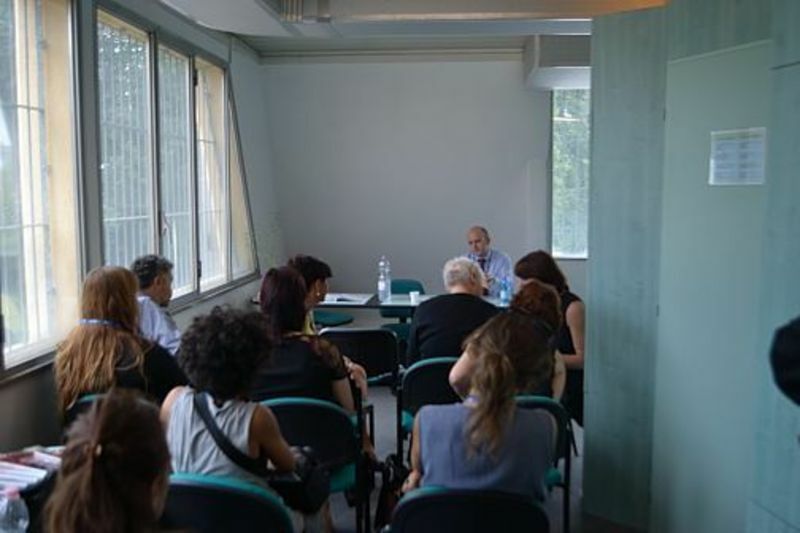 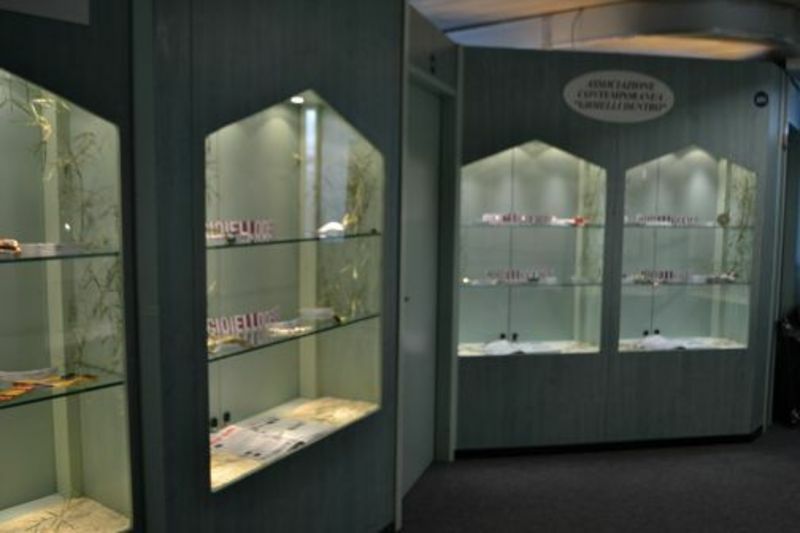 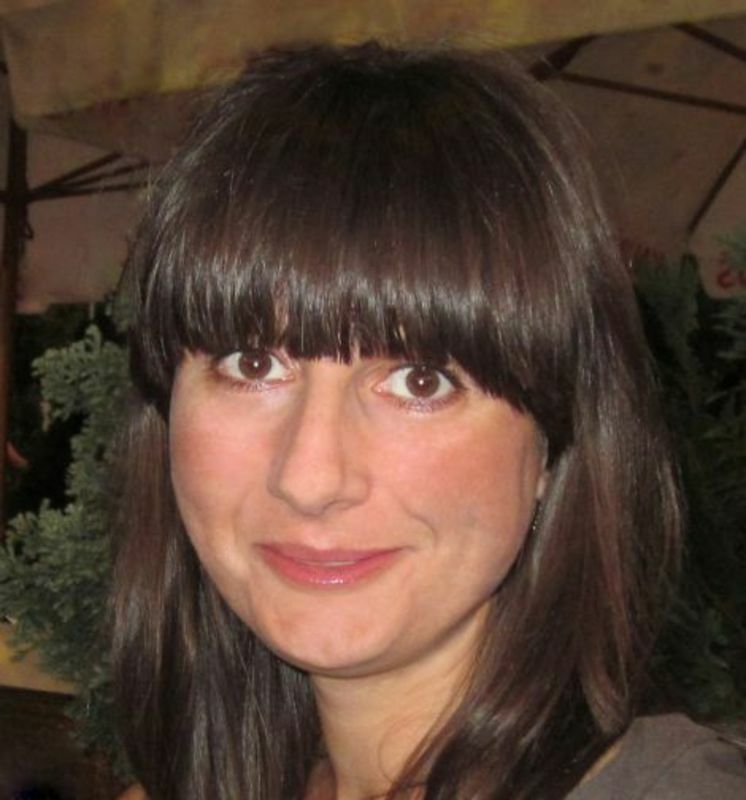 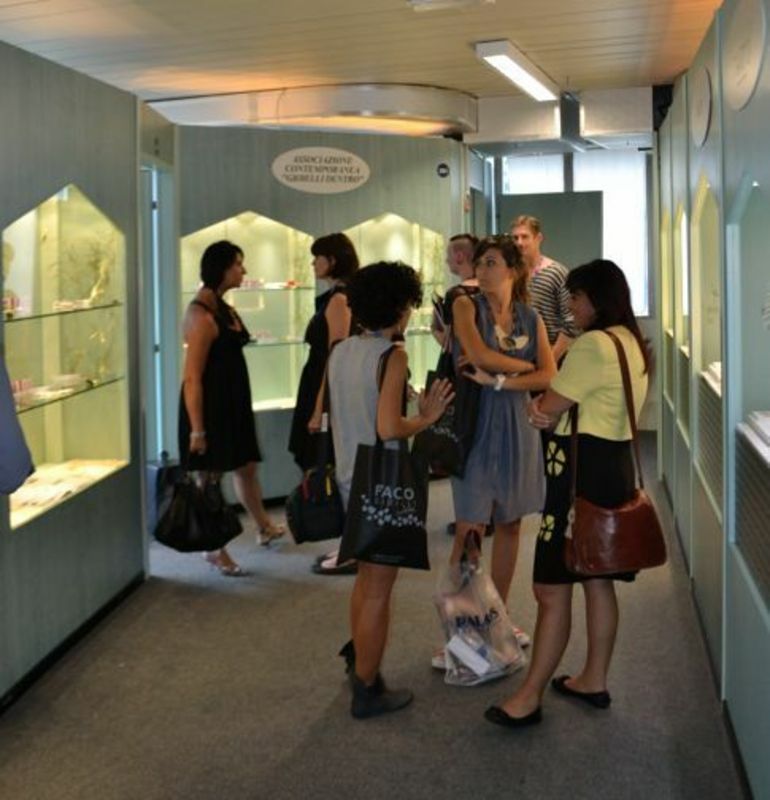 The Contemporary Association Gioiellodentro presented the exhibition Oriental Style which ran from 7th to 11th September 2013. 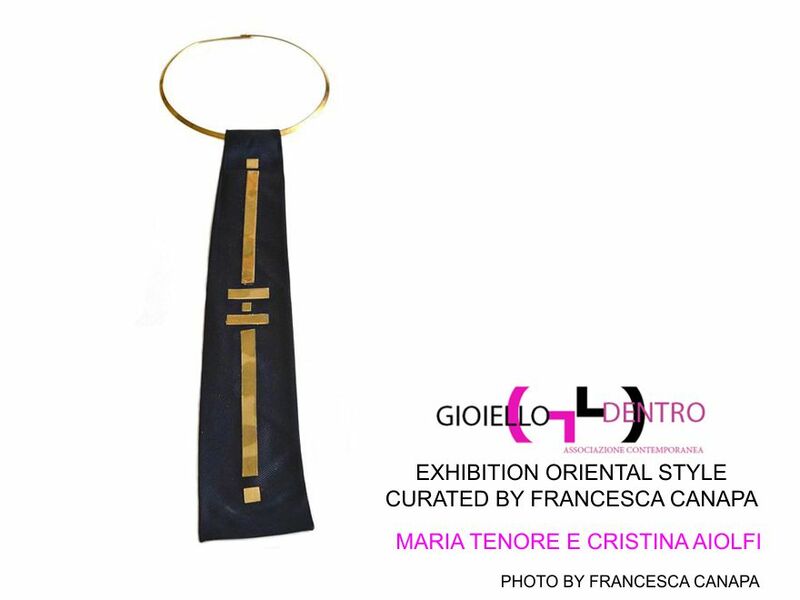 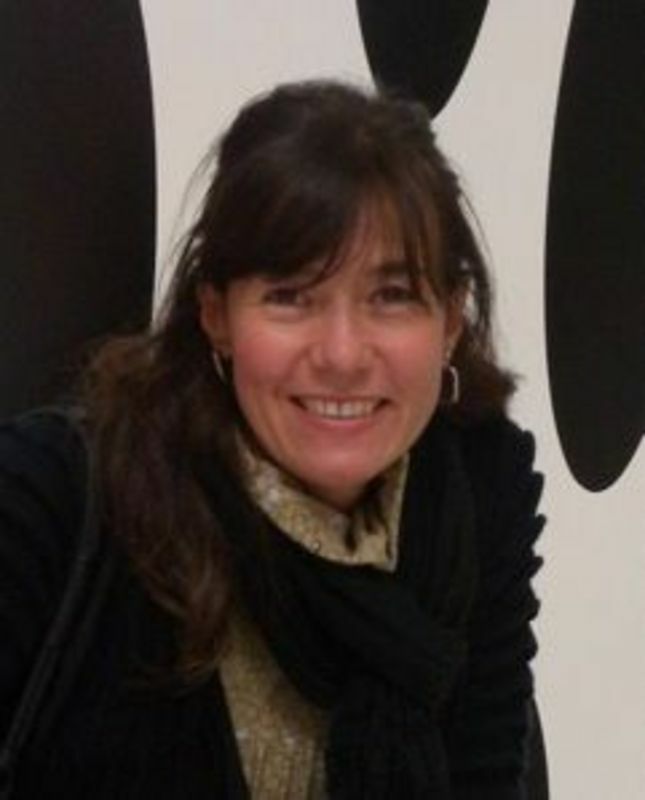 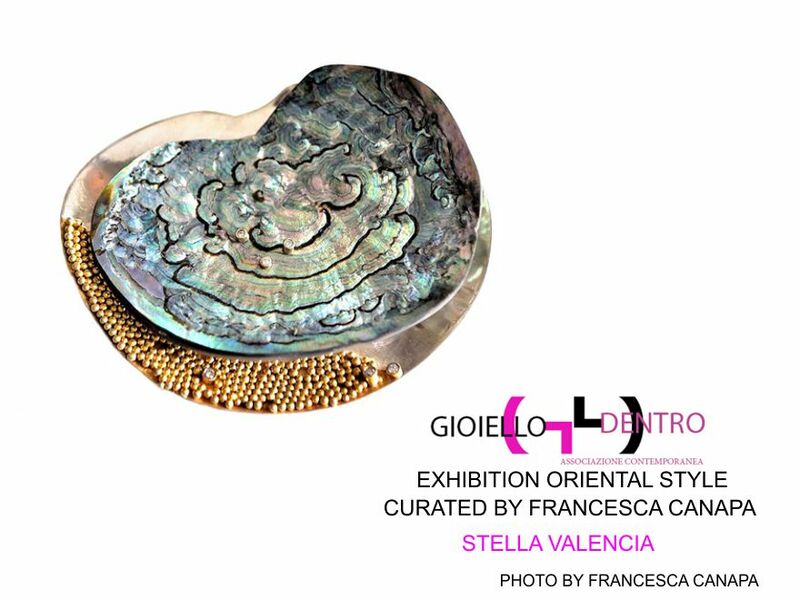 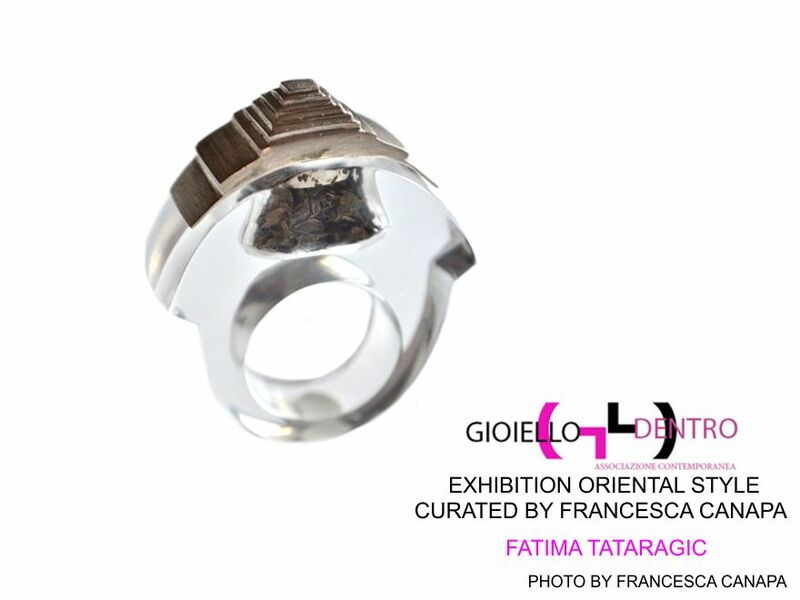 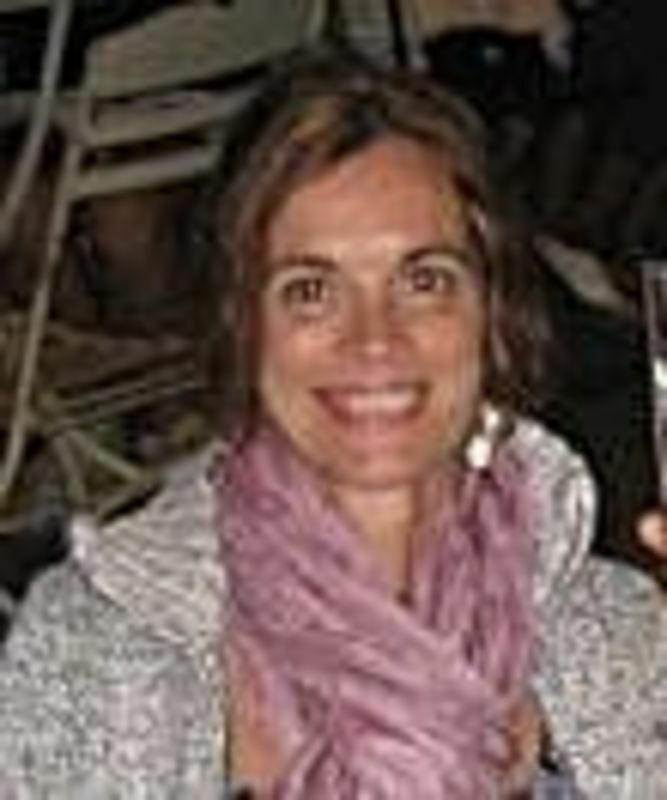 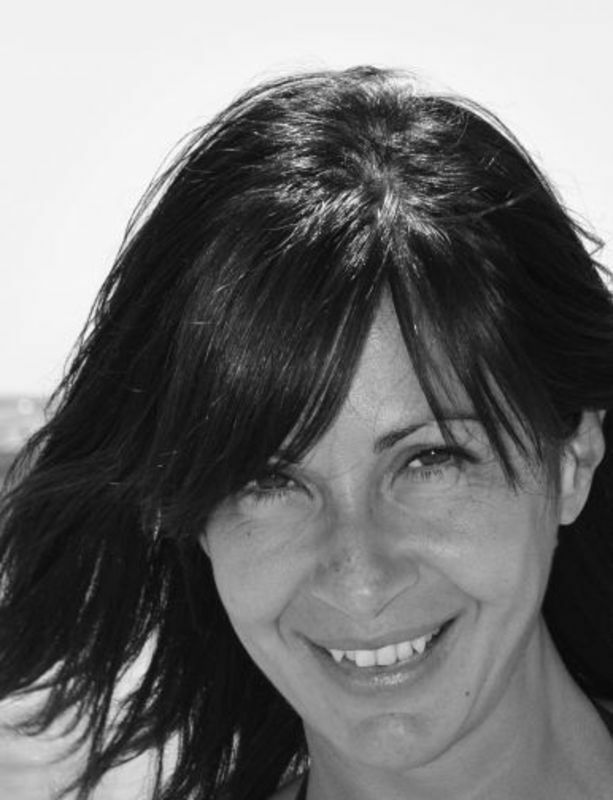 Curated by Francesca Canapa ..Ths exhibition, which is curated by Francesca Canapa is a bridge that takes us into the world of oriental style. 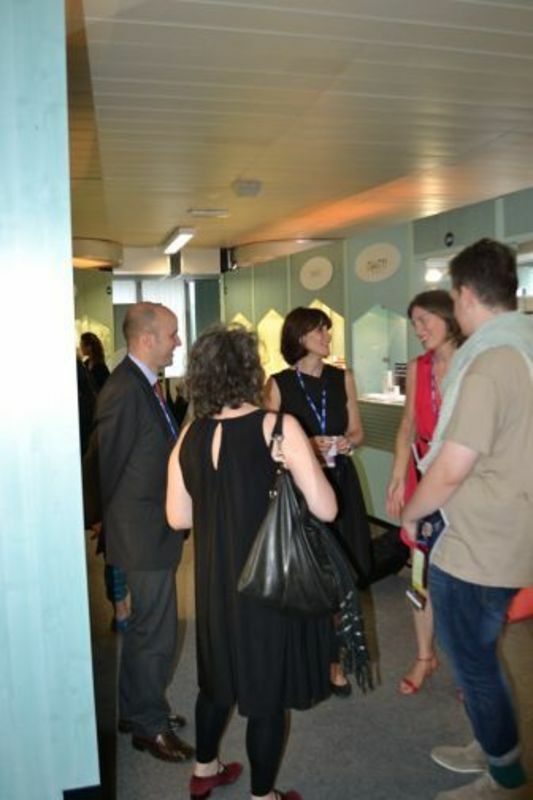 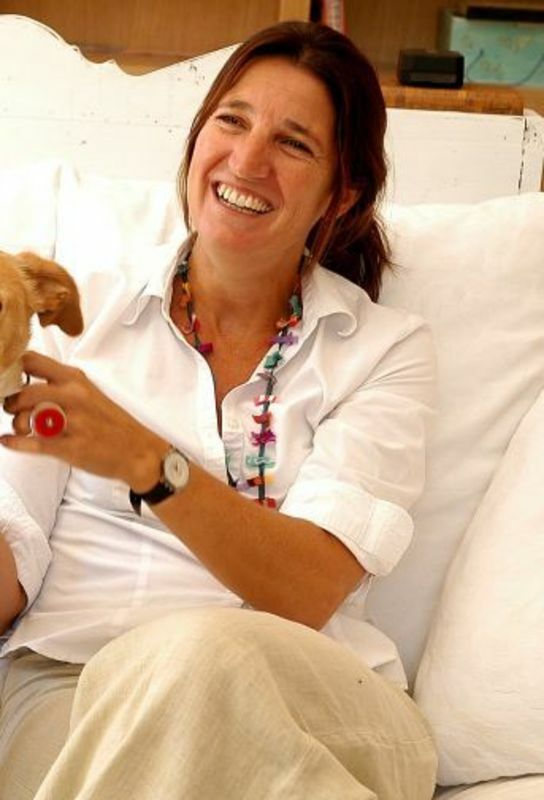 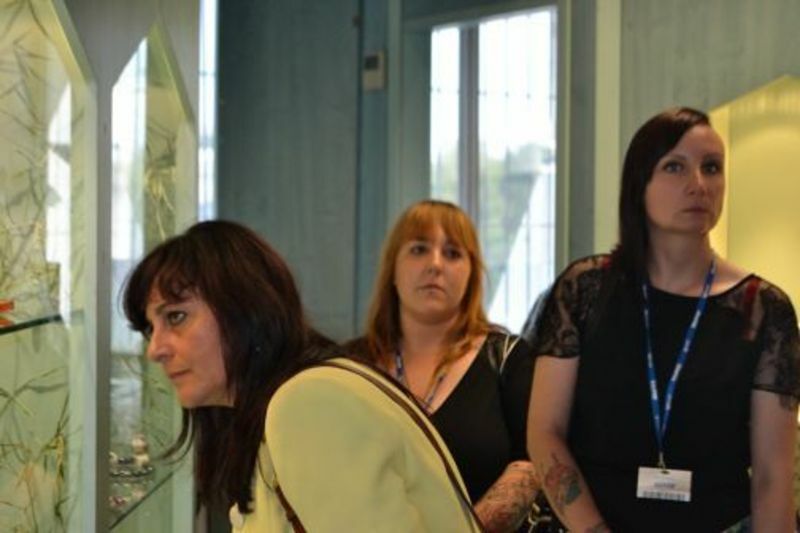 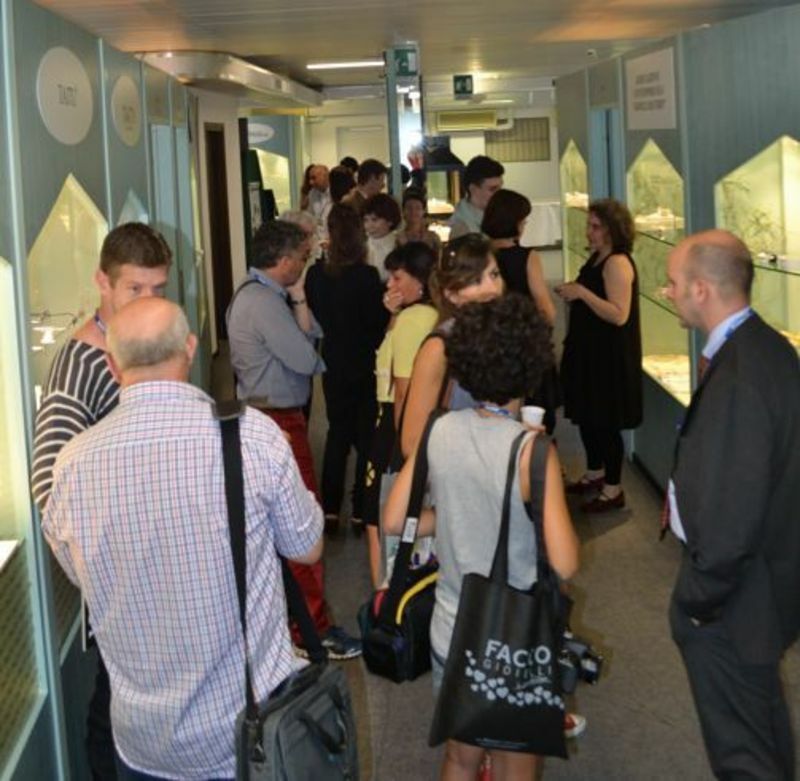 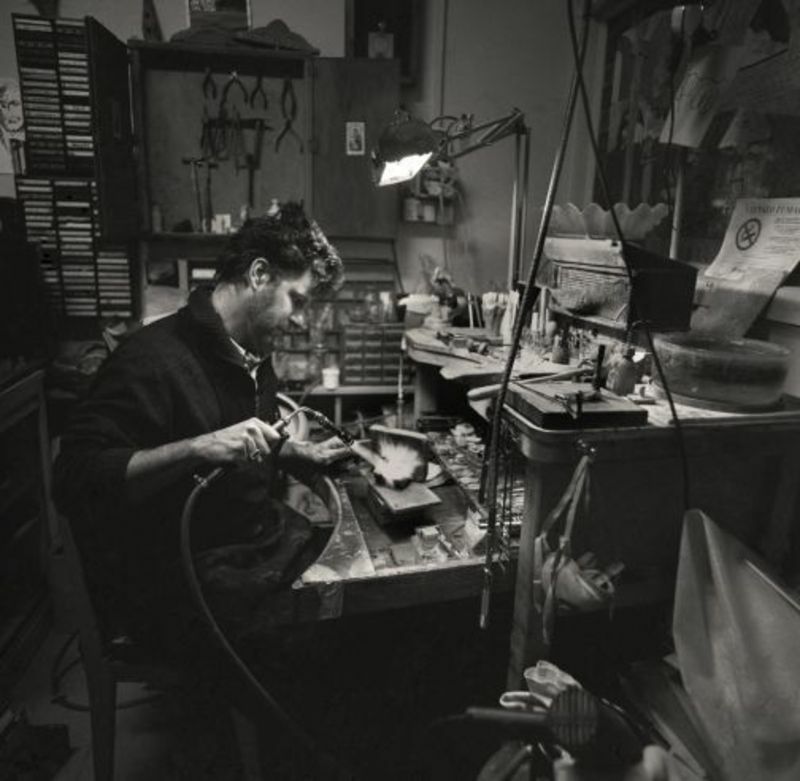 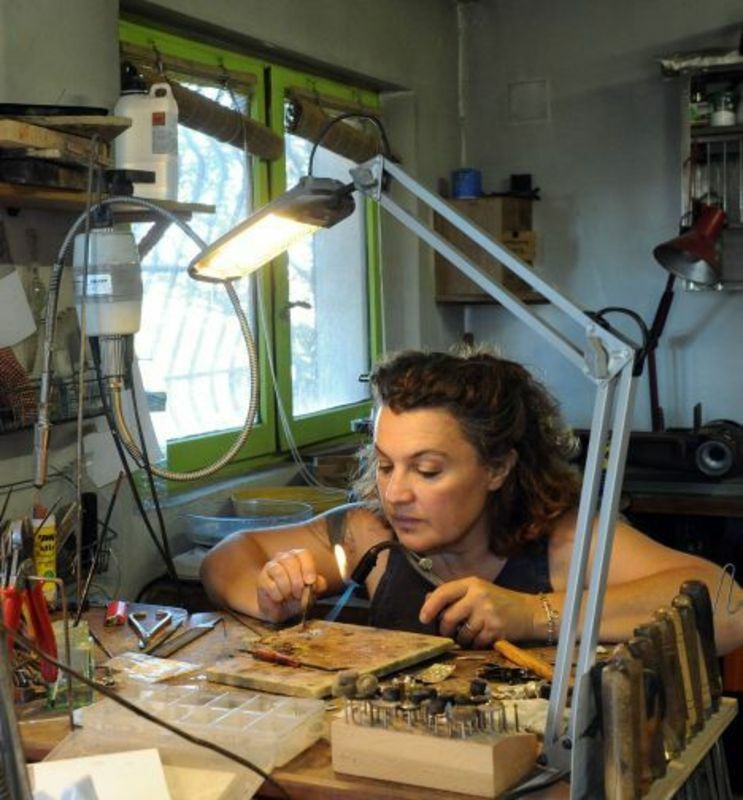 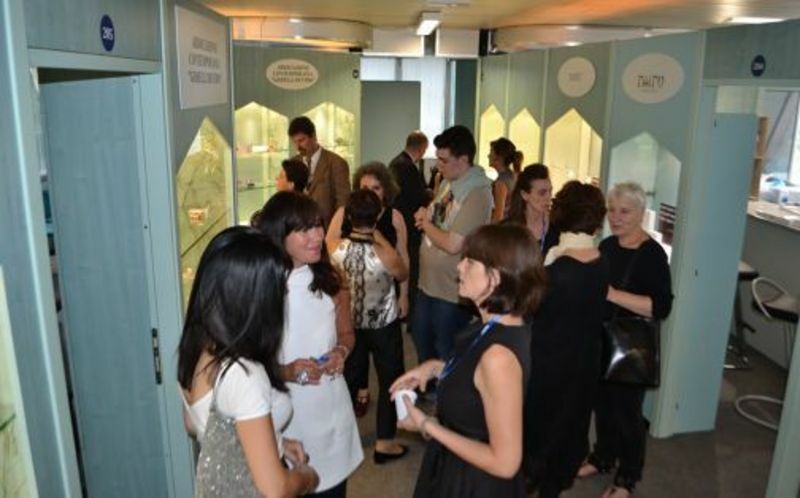 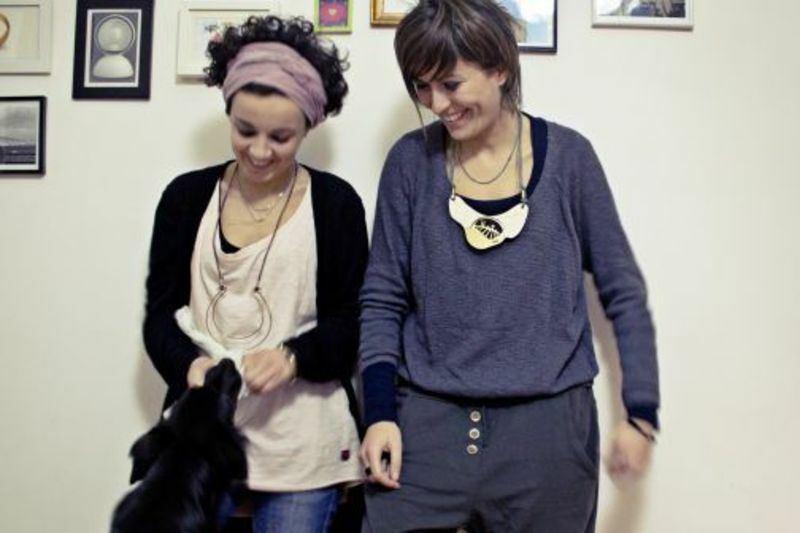 The designers selected to exhibit their jewellery have enclosed: creativity, dexterity, the value of civilization and culture. 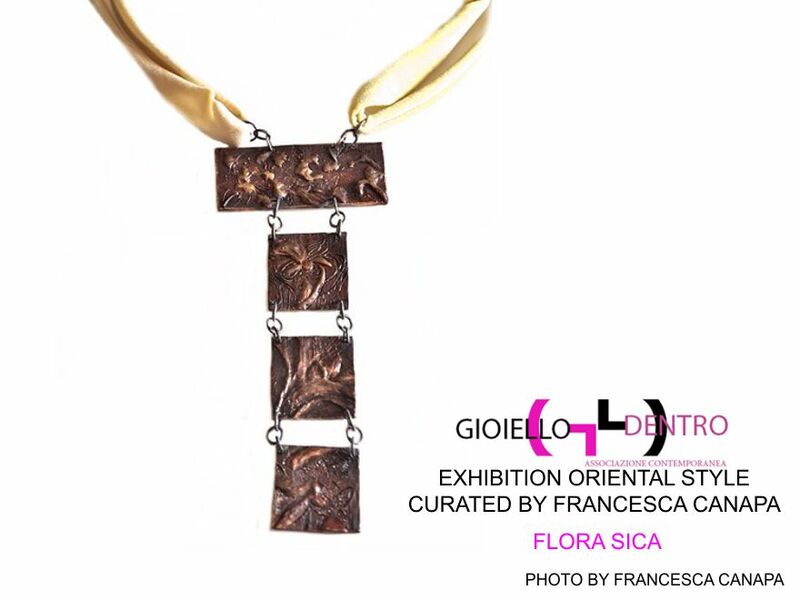 Each piece of jewellery is a work full of imagination and style, thanks to the combinations that make it unique. 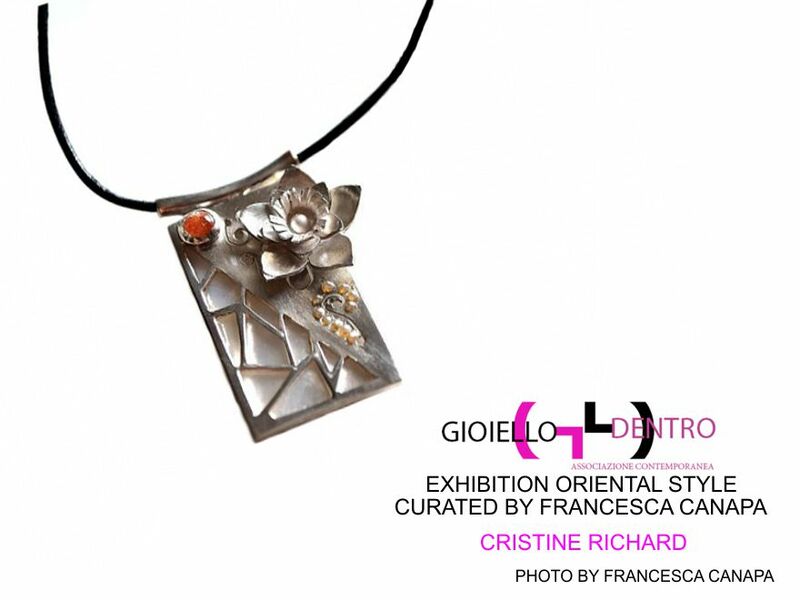 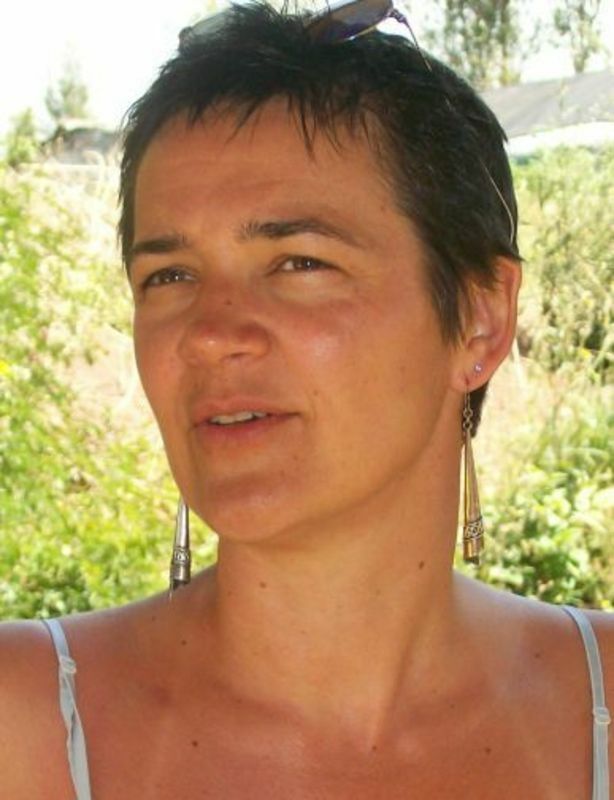 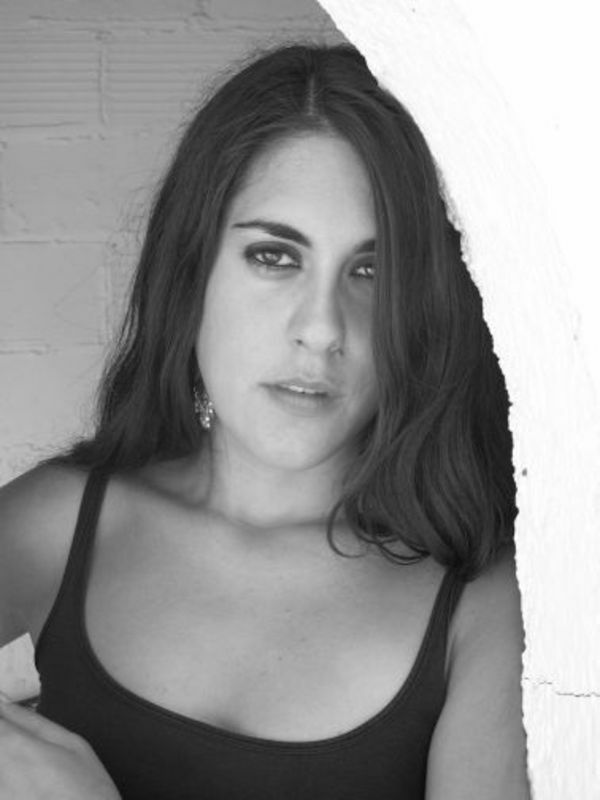 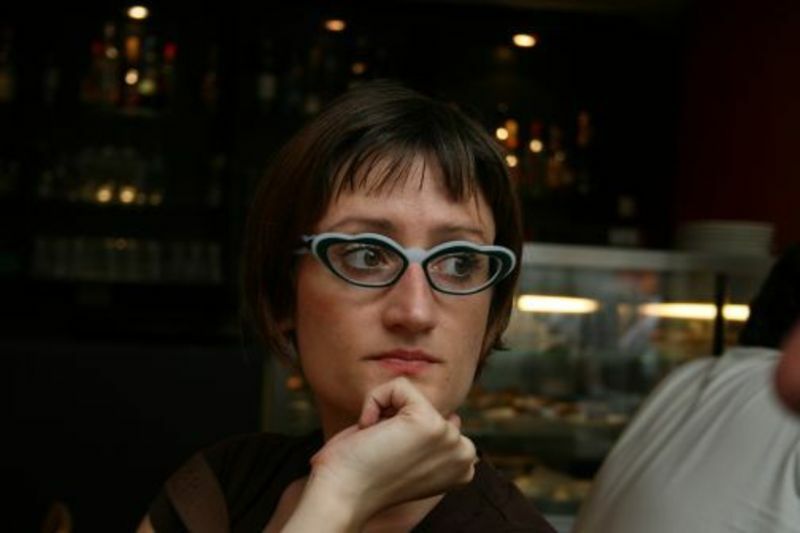 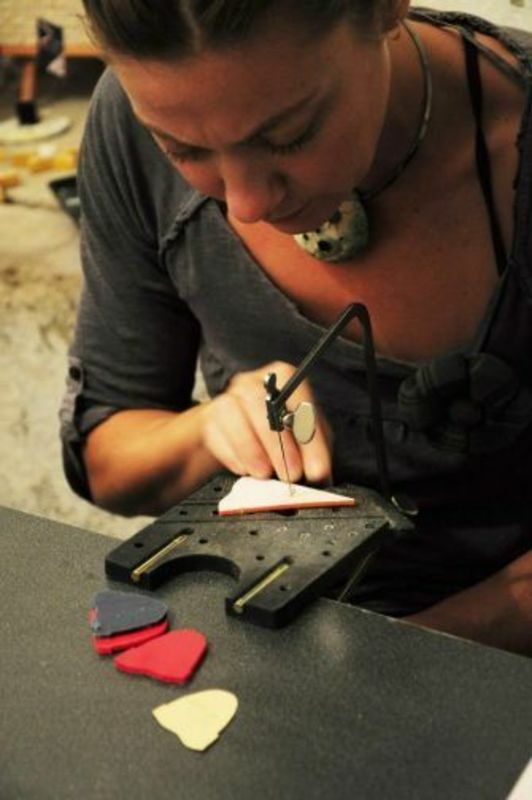 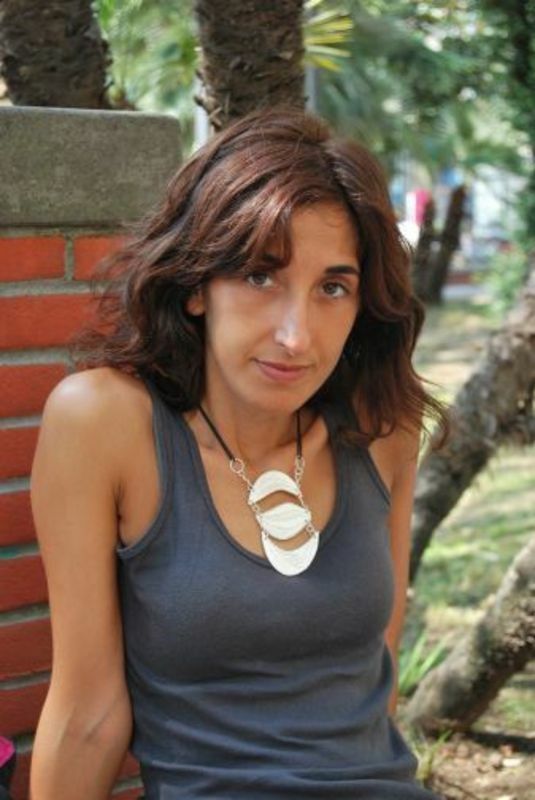 The Designers using shapes and colors which are enclosed in their jewellery charm of these lands. 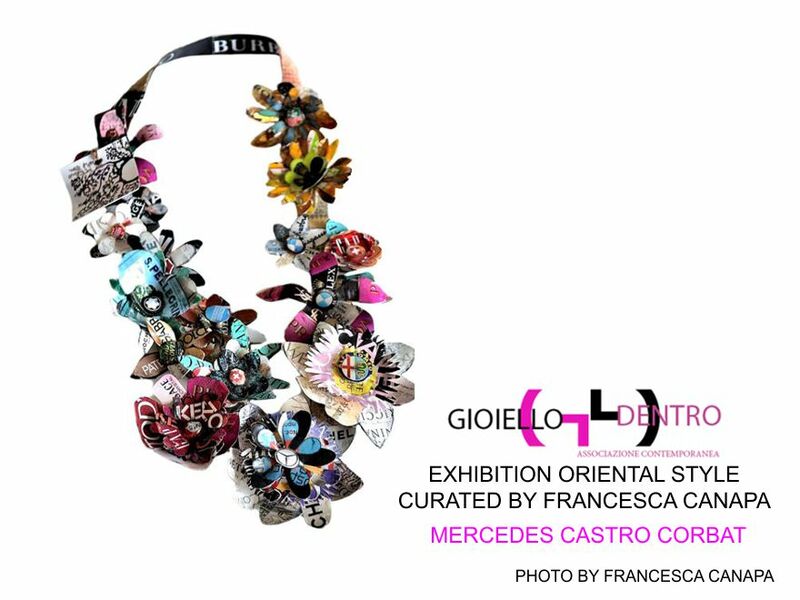 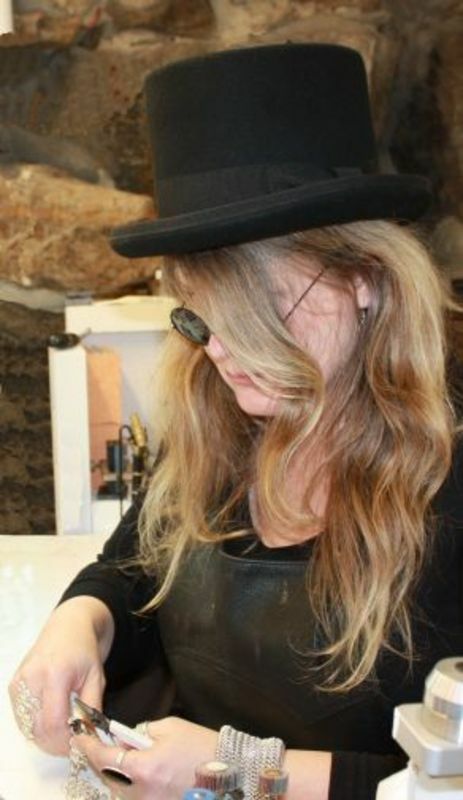 This challenge was given to 30 designers from, Canada, Costa Rica, Bueno Saires, England, France, Italy, Norway, Holland and Spain.